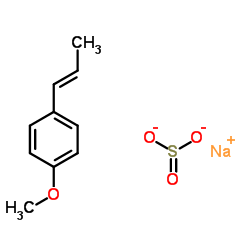 Sodium polyanetholesulfonate (SPS) is a homopolymer that was developed to be used as an anticoagulant. It is commonly used in blood culture media for bacteria because it inhibits the antimicrobial activity of immune system components present in blood. SPS inhibits the growth of some microorganisms, but this effect if often media-dependent and can be overcome by addition of gelatin or lysed blood. SPS is a weaker anticoagulant than heparin, most likely due to inhibition of antithrombin III, but a stronger inducer of platelet aggregation. It has also been used to stabilize colloidal suspensions.